This is a grea hostel! Very clean and accommodations were good. Staff was extremely he,Paul. We loved ou time here! Wow, this place was so much more than we expected! Rika provided an extensive breakfast spread to fuel us for the day. The shared apt included soaps, lotions, bathroom products, and maps of the city. There was even a interactive wall of musical instruments in case we wanted a jam session. I'd highly recommend that you stay here. Excellent home base for Vienna. Clean, beautiful, mellow, comfortable, and very central. The staff are extremely kind and helpful. This is such a beautiful hostel with great location. Only 15 minutes walk to center Vienna. A lot of amenities are provided including towels, hairdryer, 1st aid kit, shampoo, shower gel, band-aid, etc. Everything was super clean. Free breakfast is provided every morning by 8:15am. The host was wonderful. She made our stay so much more meaningful. Thank you so much for the lovely experience. This hostel was unbelievably amazing!! It was very small and private and the apartment was decorated very hip and cool. Only two bathrooms, one shower was there but for 10 guests max it was no issue. Extremely clean, friendly staff, good breakfast, and they even gave us candy both nights of the stay! Amazing visit! Only downside was it was about a 40 minute walk from the city center but definitely worth it. The appartment was AMAZING!RIka was super nice and helpful!would stay there again for sureee! 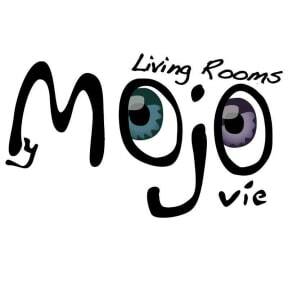 I really enjoyed my stay at MyMojovie, I arrived later than originally expected and they were very accommodating. They left the room ready for me and checked me in the next morning. The room was fully equipped with everything a traveler could possibly need, which was extremely helpful. At first, it seemed far away from the city center however, it was a relatively easy walk. Stayed in a couple quirky places but this is far and away the most off-the-wall hostel I've seen. Struggled to find it at first and originally found the manner of the place odd (kinda overly friendly), but ended up enjoying my stay very much. Lovely, helpful staff and an interesting variety of guests! Lots of good Viennese tourist literature too. Would have preferred to blend in a little more (a kingsize bed was generous but strange when everybody else was in bunks). Laundry serice = fabulous!